If you like sweet and savory in a single bite, this side dish is right up your alley. It pairs really well with chicken or meats. Place diced butternut Squash in large mixing bowl. Melt butter, then add honey and 1/2 tsp cinnamon. Mix well making sure the 3 ingredients are thoroughly combined. Pour over butternut squash and mix in order to coat all pieces with honey butter mixture. Place on a lightly greased baking sheet and bake for 25 minutes or until fork tender. 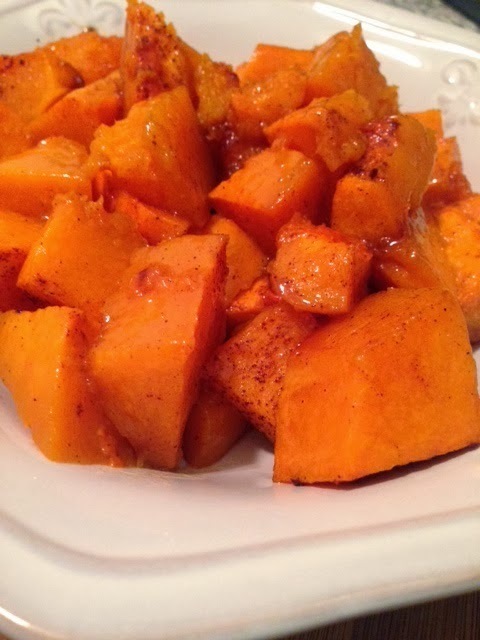 This is a healthy delicious side dish and it's super easy to make! Serve warm.